THIS IS HOW it happens now: Someone commits a crime, and everyone turns to his Facebook page, hoping to glimpse his inner thoughts. And there, on the public page of Kevin Edson — who allegedly put a rice cooker in a backpack, then placed it near the Marathon finish line — was that familiar photo of Dzhokhar Tsarnaev, staring out from behind tousled hair, with an off-color joke for a caption. Here was the inspiration for what Edson, who reportedly suffers from mental illness, described as an ill-advised piece of performance art. And it’s hard not to see Edson’s act, in part, as the byproduct of popular fascination with Tsarnaev — a reason some believe we should publicly ignore the accused bomber altogether, and concentrate instead on the city and survivors. For the most part, here in Boston, we’ve struck the right balance. Tuesday’s memorial tribute, beautifully done, was focused on hope and resilience. Unless I missed something, I didn’t hear Tsarnaev’s name at all. And yet it has come up, inevitably, in the past year and the past week. Last weekend, Adrianne Haslet-Davis, who lost a leg in the Marathon attacks, backed out of an appearance on “Meet the Press,” after producers wouldn’t promise to keep his name out of the broadcast. It’s hard not to sympathize with her pain, or to want her to heal on her own terms. But as a culture, silence isn’t what we want — because we have to follow the news, but also because, if we lock Tsarnaev’s name and image in an airtight safe, we give him a lingering power he doesn’t deserve. Of course, it’s a matter of timing, taste, and context. I was angry, like many Bostonians, when Rolling Stone put Tsarnaev on its cover last summer, capitalizing on his youth and his good looks, elevating him to rock star status. That sort of glamour carries risks, says Jack Levin, a criminologist at Northeastern University. Glory begets imitators, Levin told me: people who tend to be sick, disaffected, and looking for instant power. The mass-murderer in Oslo in 2011 published a manifesto, plagiarized from Unabomber Ted Kaczynski. Levin laments the number of killers who have graced the cover of People magazine, and our cultural fascination with cruelty: There’s now a Jeffrey Dahmer comic book and a set of serial-killer trading cards. On the other hand, he said, there are ways to make that fame lose its appeal. Every horrible public figure goes through a pop culture arc, from object of horror to object of fascination to, sometimes, an object of humor. Hitler is the historical embodiment of evil, but he’s also a tiresome Internet trope and a longstanding cartoon. The point of the humor isn’t to diminish the gravity of what he did, but to diminish the man who did it. In the finale of “The Sarah Silverman Program” a few years ago, Ed Asner played a neo-Nazi who lamented the fact that, thanks to comedy, Nazis just aren’t scary anymore. It’s the opposite of power, to be a punchline. Tsarnaev, at this point, doesn’t inspire fear so much as disgust: One of two brothers, horrendously misguided, apparently acting alone. I have to confess, I’ve spent some time this week thinking about him, wondering what’s going through his mind. Did he really think he would accomplish his goals? Does he dwell on the lives he damaged? Does he wish he could change the past? Yet I’d rather see Tsarnaev that way, sending out pathetic messages, showing how diminished he’s become. Ignoring him etches him in amber. If we watch the arc of his life, we can see the futility of his actions. 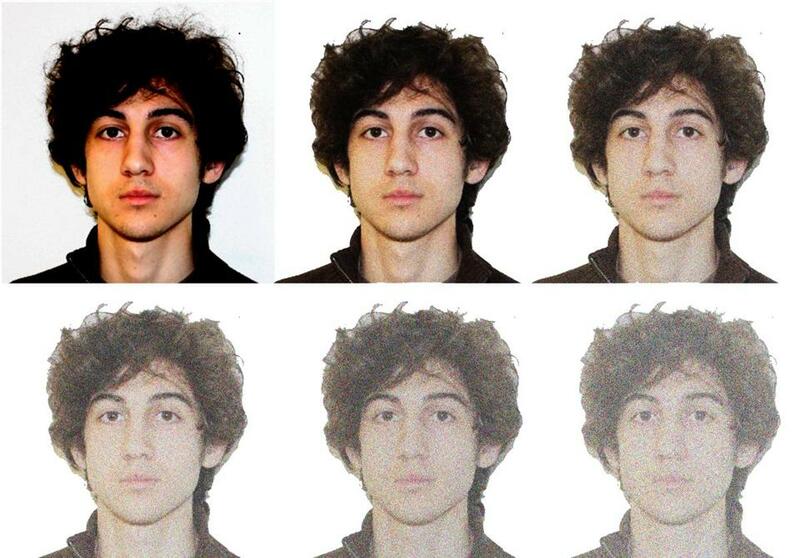 Tsarnaev may never voice repentance or regret. But there’s a decent chance that he will be an old man — alone in prison, looking back on his life, and realizing that, with a series of stupid, cruel, terrible moves, he turned himself into a joke.